Buckingham Burials: U.S. Military Headstones | slate river ramblings . . . . 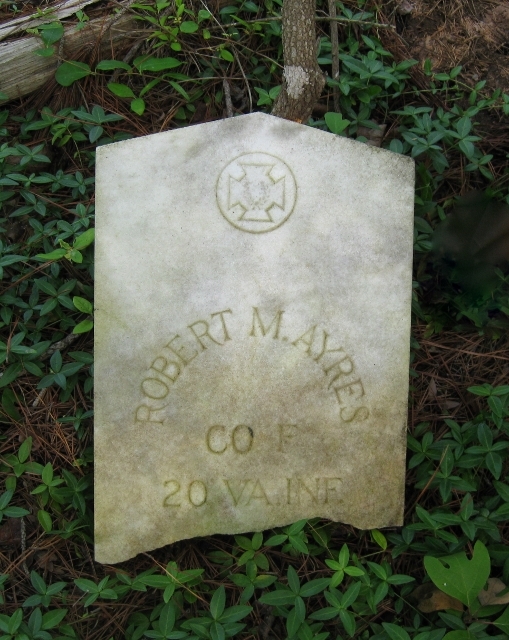 Looking for information about a veteran buried in Buckingham County? 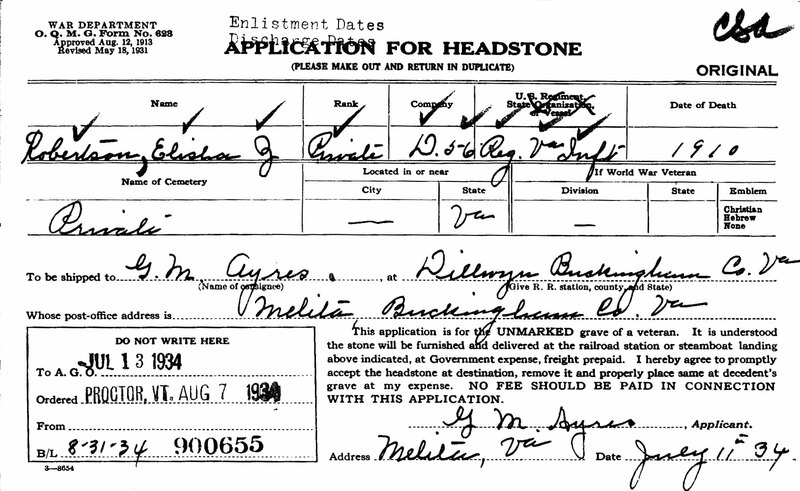 Try consulting the Family Search archive: United States, Applications for Headstones for U.S. Military Veterans. This collection consists of images of over 621,000 applications for headstones received by the Cemeterial Division of the Quartermaster General from two National Archive microfilm publications. The first publication, over 290,000 applications, covers 1925 to 1941 and is M1916. Most are for veterans of the Civil War or later. A few may cover earlier wars. The second publication, over 331,000 applications, covers 1941-1949 and is M2113. These records are part of Records of the Office of the Quartermaster General, Record Group (RG) 92. Below is a sample application for Elisha Z. Robertson of Buckingham County. The record includes basic information about his military service as well as the year of his death and the name of person who applied for the headstone. In this case, the applicant was G.M. Ayres.